It wasn't subtle, but the point certainly came across. The concept of family was at the heart of Criminal Minds Season 14 Episode 1. But the subtext seemed to be there are families, and then there are families. 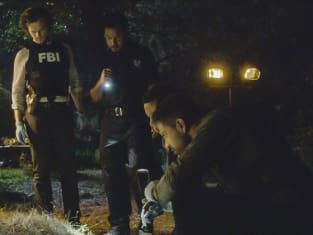 In this, the series' 300th episode, the BAU was missing two family members, Garcia and Reid, who had been abducted by the Cult of the Messiah, Benjamin Merva, on Criminal Minds Season 13 Episode 22. Sure, it was emotional blackmail on the part of episode writer and showrunner Erica Messer to have arguably the two characters most preferred by fans in jeopardy rather than, say, Lewis, at the heart of the cliffhanger. Reid's captivity especially tears at viewers heartstrings. Hasn't he been through enough in recent years? 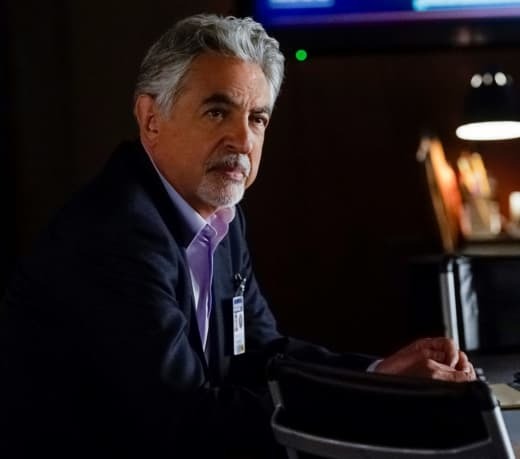 He's been accused of murder then jailed while his mother was lost to Alzheimer's during Criminal Minds Season 12, and often sidelined as a teacher during Criminal Minds Season 13. That beautiful mind needs a break. The images of young Reid only served to illustrate this point. Present-day Reid looked like a long stretch of bad road. Granted, he'd had a rough few days in captivity, so let's chalk it up to that. I'm sure Reid will also blame himself in part for the death of Theo, his former student. But he shouldn't because he was a positive influence on Theo, who got back on the right path saving Quinn and working to take down the cult. I'm sure the team members who were off celebrating a case that wasn't actually closed blamed themselves that they had missed the spy within who ultimately freed Merva and helped to abduct Reid and Garcia. 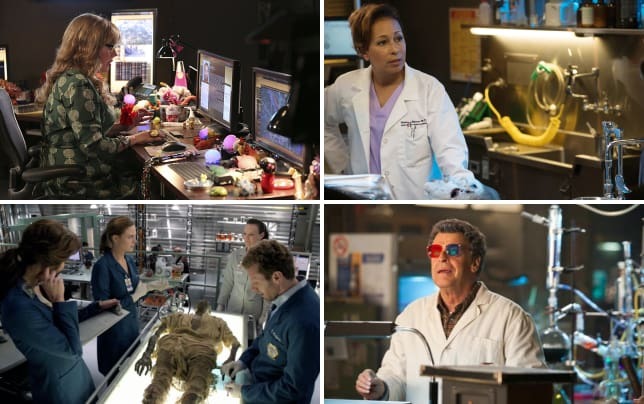 A wonderful job was done of highlighting the link among the one-time newbies at the BAU: JJ, Reid, and Garcia. 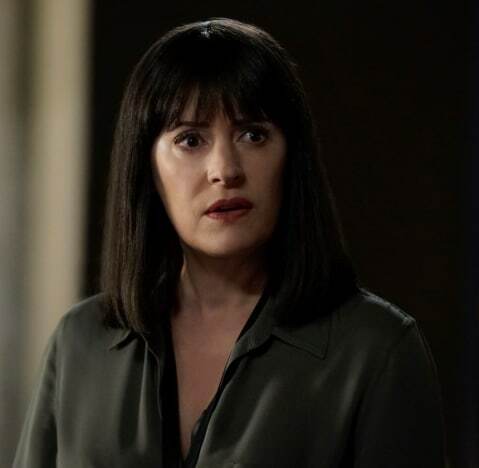 The scene in the restroom with Prentiss definitely showed the tender JJ beneath her tough exterior, as she seemed to blame herself for being free while the others were captives. Reid remembering JJ naming him Henry's godfather helped give him strength. He sacrificed himself so that Garcia could escape to get help. Garcia's escape had the added benefit of forcing the cult out of hiding and onto the road sooner than planned. That and deductive reasoning certainly helped when it came time to find the cult's new compound. This case also echoed a theme seen throughout the run of Criminal Minds: There's no such thing as a case that's dead and buried. How many copycats or disciples have there been through the years? Or to put it another way, there are only so many nutjobs out there to mine for inspiration. This cult had its roots in the Colorado-based Liberty Ranch cult of Benjamin Cyrus way back on Criminal Minds Season 4 Episode 3. The revived cult was also a family of sorts, just one which happens to hunt sacrifices for its Messiah. So it's also a very dysfunctional family. Meadows was one of his wives, and Merva one of his followers. 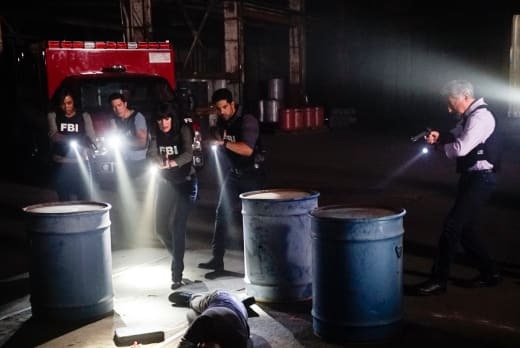 And they, along with other Cyrus devotees, blamed the BAU for the standoff and destruction that happened there during a state-police raid. 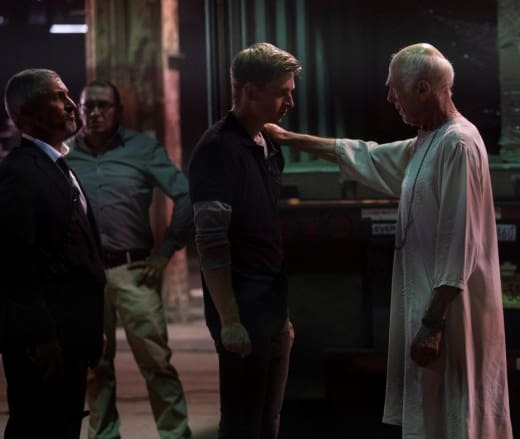 Reid had infiltrated the cult along with Prentiss, yet the new cult has fixated on him, probably because he was the one who debated scripture with Cyrus. In other words, he was the face of betrayal, which was why he was targeted to be Victim #300. It was a good thing that Reid put the pieces together quicker than the rest of the team so that he could leave them breadcrumbs through the surveillance footage and his whispers to Garcia. Otherwise, they probably still would have been trying to figure out where the cult had taken Reid. It didn't help that only half the team present even recalled the events of the case. That situation did give the viewers a nice refresher course on Liberty Ranch. It was fun to recall Luke Perry as a charismatic cult leader before he entered dad territory on Riverdale. After Garcia returned to the BAU after her escape, locating the cult's Kentucky compound didn't take awfully long as is often the case once Garcia starts to work her internet magic. Soon, the result was as expected: the cult members were dead or in custody, and Reid was back where he belonged at the BAU, worse for wear but still happy to be home. Meadows was arrested, leaving her available for a future episode. But the manhunt, while exciting, was almost secondary to the episode's theme. As amplified by Prentiss' talk with Reid on the plane, this was about how the BAU is and has always been a family which has each other's backs. To follow Reid's development at the BAU, watch Criminal Minds online. Did you remember Benjamin Cyrus? Did you make the connection with the new cult? Will Reid bounce back well from this latest indignity?